Ultrasonic flow measurement devices employ a comparatively recent technology to measure gaseous or liquid flow. Whether the transit time differential or Doppler method is utilized, ultrasonic flow meters have a distinctive characteristic in that they can be deployed in a form factor that does not require contact with the the process fluid, nor insertion in the fluid flow path. A common installation method is to clamp the ultrasonic transducer assembly onto the exterior of a process pipe. 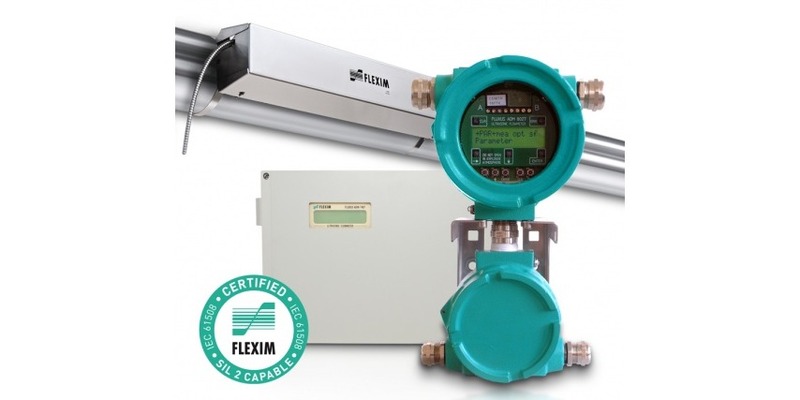 This makes the technology attractive for applications that involve adding a flow measurement point to an existing piping system. Ultrasonic Gas Flow Measurement from Classic Controls, Inc.